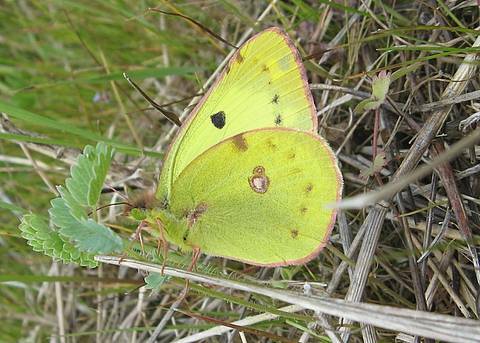 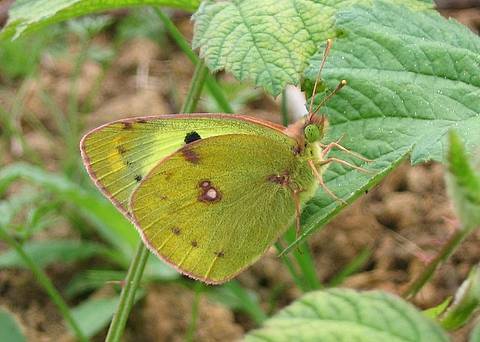 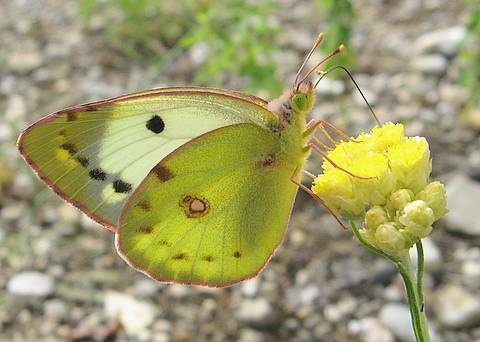 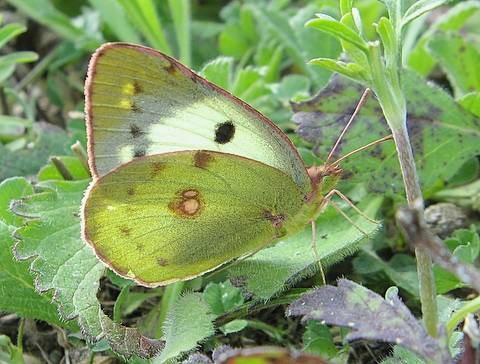 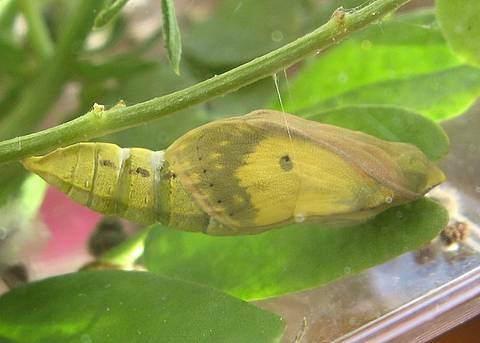 The Berger's Clouded Yellow is a species which flies over calcareous ground where an abundance of its larval food plants Hippocrepis comosa or Coronilla varia are found. 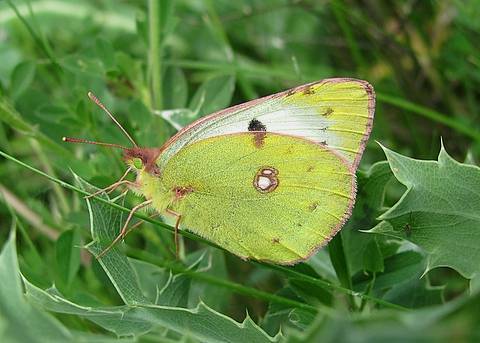 The species is almost identical to the Pale Clouded Yellow (Colias hyale) and correct identification poses a great deal of difficulty. 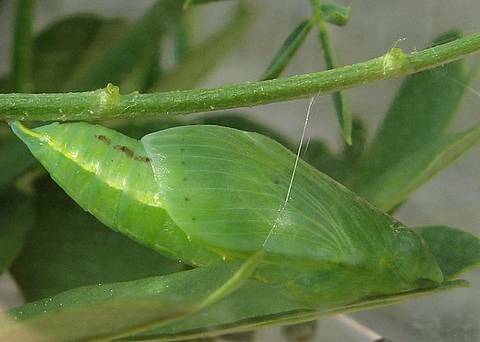 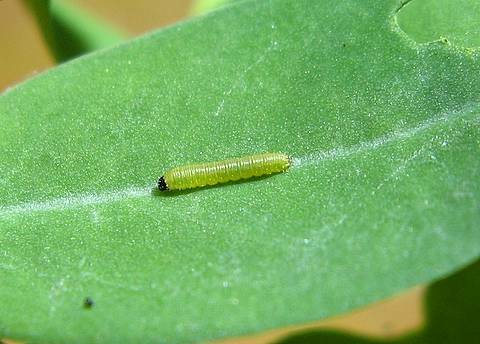 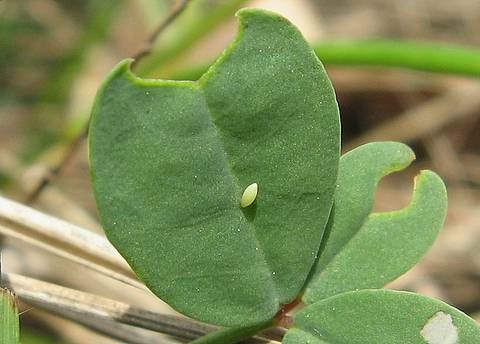 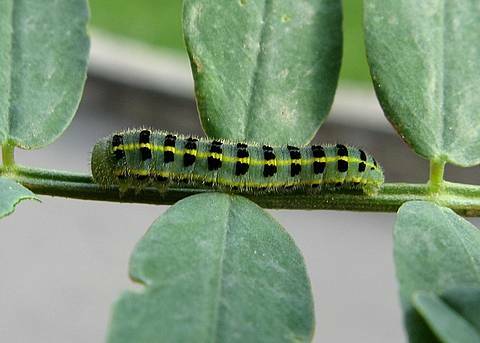 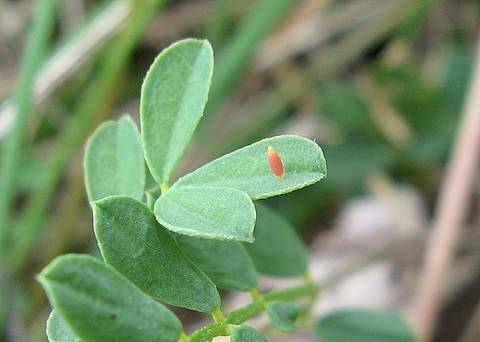 This is why studying habitat requirements is a distinct advantage as the caterpillar of C.hyale is reported as feeding on a number of widespread fabaceae such as Trifolium repens and Medicago sativa.